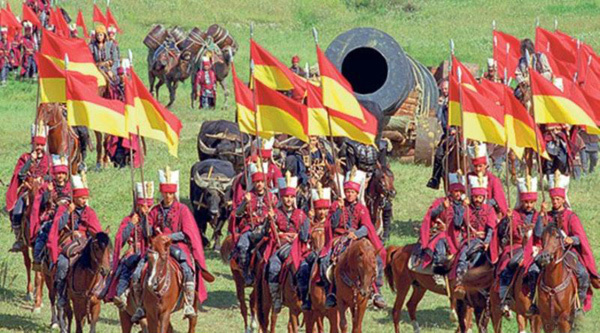 In a previous study, you learned that the 5th Trumpet of Revelation 9 represented our Lord raising up the Saracen (Muslim) army to attack the Roman Empire for 150 years from 612 – 672 A.D. In this study you will learn that the true historical fulfillment of the 6th trumpet is our Lord allowing the Turks to cross the Euphrates River, to attack the Eastern Roman Empire for 391 years, which ended in them knocking down the thick protective walls of Constantinople with large cannons. Once again, when you see that it was the Lord who sent the Turks against the Roman Empire, you will gain a new perspective about the Muslims, that instead of just being a blood-thirsty people who killed others, they were in fact sent by God to execute vengeance against the pagan Roman Empire, which had killed 10 million Christians. Do you now see how the sixth trumpet of Revelation has been fulfilled already, and it does not apply to the end-times when four angels who have been bound near the Euphrates River until the Day of Wrath, lead an army of 200 million to kill a third of the world? Next Islam In Bible Prophecy study: The drying up of the Ottoman Empire during the 6th bowl of Revelation 16.